In the mid-19th century, Waldwick and the surrounding area constituted a small settlement within Franklin Township, an area that encompassed much of northwestern Bergen County. On January 1, 1886, Orvil Township was formed from portions of Ho-Ho-Kus Township and Washington Township. The Erie Railroad created a stop in the township, resulting in the first population boom in the region's history. Around 1870, the area constituting modern-day Ridgewood broke away from Orvil Township, which subsequently began to fade as a municipality. On April 7, 1919, a council of citizens voted to incorporate as the Borough of Waldwick. Now, Waldwick is a small wholesome community with an abundance of young families and children who are delighted with their lovely 32 acre park and lake. Residents can enjoy boating, fishing, or just a peaceful stroll in the woods. A very dynamic recreational department provides year-round fun for the entire family. 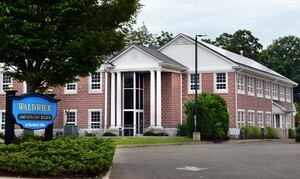 Concerts by the fire department band, soccer, basketball, football, baseball, swimming at the municipal pool, Women's Club, scouting programs, and other civic organizations are all available. 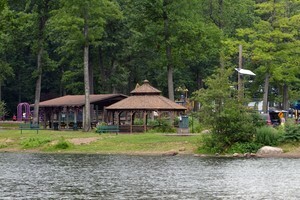 A well-staffed summer program utilizes all three owned parks. Waldwick educational opportunities are outstanding, including Special Learning classes provided within the school system. Waldwick's progressive educational environment includes instruction in art, music, and language skills in the lower grades, as well as challenging science and mathematics courses through high school. Waldwick has a fine public library conveniently located in the town proper. Local stores provide diverse shopping. Waldwick is in an excellent location for commuting to New York City by bus, car, or train.